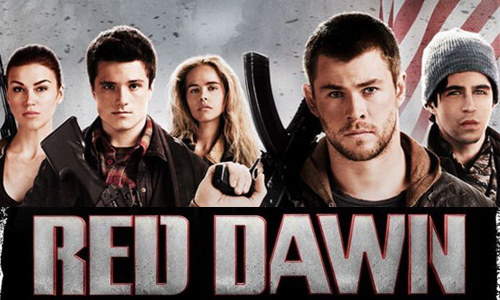 RED DAWN- New Movie Trailer Released! “Red Dawn” is a remake of the 1984 film version that starred Patrick Swayze, C. Thomas Howell, Lea Thompson, and Charlie Sheen about A group of teenagers looking to save their town from an invasion of North Korean soldiers. It is the dawn of World War III. In the original, the story occurred in mid-western America and the invading soldiers were Soviet forces. After brothers Matt and Jed Eckert’s father is killed by invading troops, their ultimate goal becomes not only to free their town but to also avenge their father’s murder. 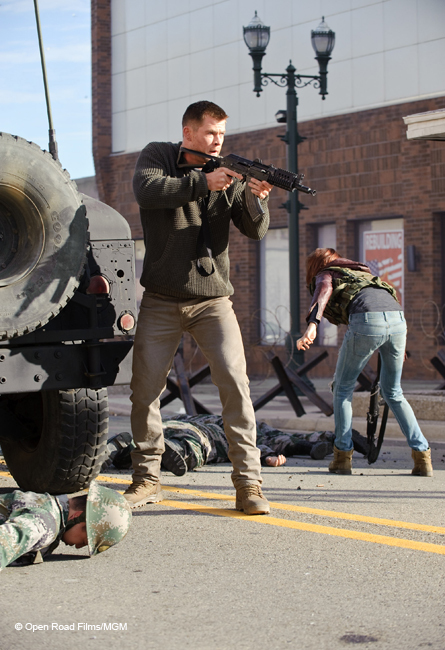 “Red Dawn” opens in theaters on November 21, 2012. “Red Dawn” stars (L-R) Josh Peck, Josh Hutcherson, Chris Hemsworth.